A microwave seems to solve a lot of problems, doesn’t it? In just a few minutes, your food is warm and ready to be eaten, even when it’s just been taken out of the refrigerator. 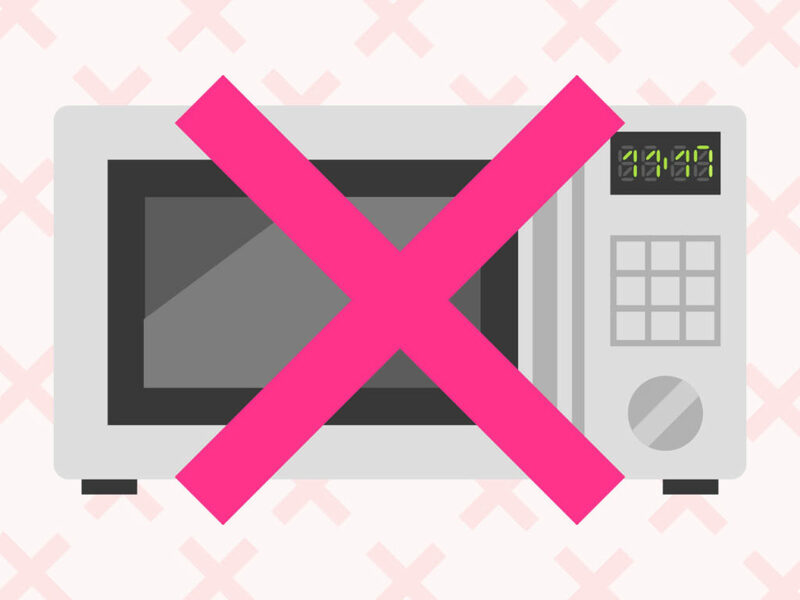 We know about the dangers of heating food in the microwave in certain containers, but did you know that certain food items can pose a threat to your health when reheated with a microwave? In the previous blog post, we discussed the negative effects of reheating food in the microwave. Here are six specific examples of foods which are better off being heated in an oven or a stove. Eggs must never be reheated in a microwave. This isn’t because they might explode (they can), but because of the egg’s protein structure changes, making it toxic for consumption. It may result in a stomach infection or an upset stomach. Also, hard boiled eggs when reheated in a microwave create a lot of steam, which has no place to escape. This may cause the egg to explode, making a complete mess which is then difficult to clean. In general, mushrooms should be consumed while they’re still fresh. It’s best to eat them as soon as it’s prepared and avoid reheating them as the proteins present in it deteriorate rapidly. It can cause heart related and digestive problems and hence, must be avoided reheating altogether. Potatoes are useful as they possess numerous health benefits. However, these benefits along with their dietary qualities are lost when it isn’t consumed on the same day as it was cooked. They also contain a form of bacteria found in soil, called Clostridium botulinum. When they’re reheated using a microwave, the heat doesn’t spread evenly, which results in cold and hot spots. The bacteria can survive in these cold spots and increase in number. This can lead to botulism, which is a serious health risk and may even result in paralysis. Chicken is a common dinner staple in most homes. However, its protein composition tends to alter when cold and refrigerated chicken is reheated and can cause serious digestive issues. Uncooked rice contains spores of bacteria which can cause food poisoning. These spores can survive even when the rice is cooked. Rice left standing at room temperature for too long enables the spores to multiply. Reheating cooked rice in a microwave doesn’t destroy the microorganisms, but gives them a chance to multiply even further due to the hot and moist environment inside. This may result in diarrhoea and food poisoning. Spinach, like most other green leafy vegetables, is rich in iron. It must be consumed immediately after it’s been cooked. Reheating causes the nitrates to turn to nitrite which is toxic and releases carcinogenic properties which can cause a lot of harm to your body. These are some of the foods you must be careful not to reheat using a microwave. While it certainly has its advantages, it also has some critical disadvantages which become quite apparent when being regularly used.